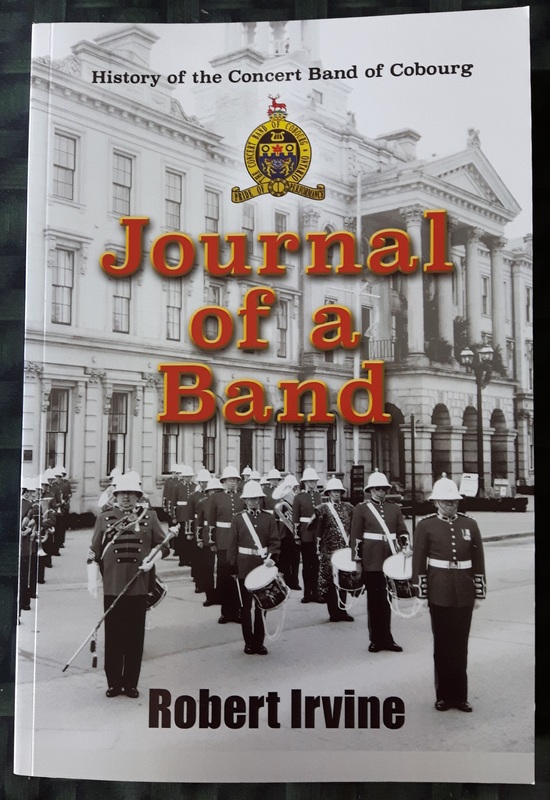 The Making of Journal of a Band: What began many years ago with nothing more than an intention of collecting some old band memorabilia has turned into a major project, taking more than a decade to complete, that now documents the 175-year of history of The Concert Band of Cobourg. 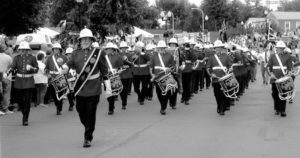 We are believed to be the oldest, continuously-operating, community band in Canada, and we were fortunate to have many historical records to search through while documenting the early days of band music in this culturally rich and vibrant town. 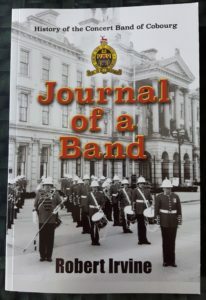 The author decided to create this book in journal form partly because of the availability of these archival documents and partly because the bandhistory was simply too vast to detail in narrative form. For 25 years longer than Canada has been a country, music has been a part of everyday life in Cobourg. 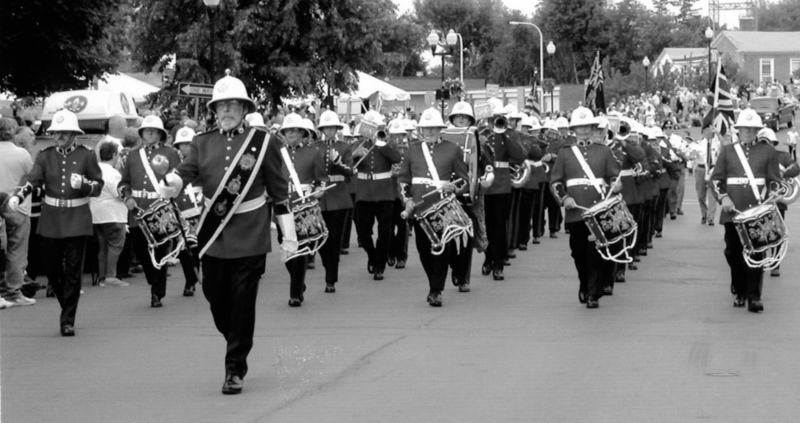 In times of peace, in times of war – in happy times and in sad times – band music has helped bring the people of our town together and allowed them to fully participate as members of the community. This journal documents a small part of the journey that has seen Cobourg develop from its earliest days into a modern town with a broad artistic base and a lasting respect for both performing and graphic expression. It stands as a tribute to all those who have gone before, to those who have contributed so much over so many years, and to those today who still carry on the legacy of one of the greatest community bands in Canada – The Concert Band of Cobourg, The Band of Her Majesty’s Royal Marines Association – Ontario. 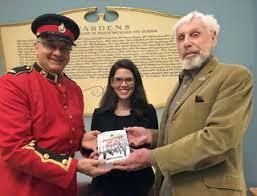 Brian Clarkson (left), 2017-18 president of the Concert Band of Cobourg, and author Robert Irvine present a copy of the book Journal of a Band to Northumberland County Records and Archival Services Coordinator Abigail Miller on Oct. 23, 2017. Irvine said the project took more than a decade to complete. Irvine has been a part of the arts community in Cobourg for more than 70 years, starting as an 11-year-old member of the Junior Cobourg Kiltie band in 1944.